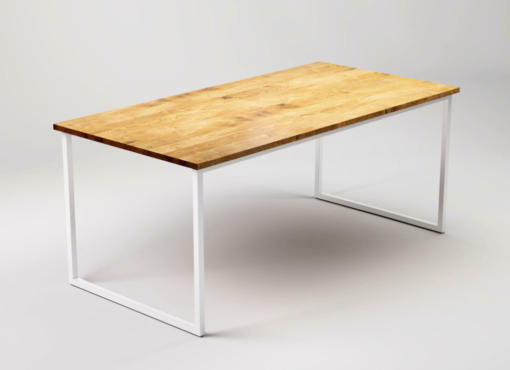 Tabletop – 3 cm thick, specially selected solid oak wood. It has various shades, dark knots and bright lines running along and across the tabletop. Each product is made to order and therefore, depending on the batch of wood, it also has its own unique features, colour and wood grain. The dining room is a special place at home. Where we spend some of the most important moments with our families. The dining table is an important centre piece in every house and apartment. It is the heart of the home. 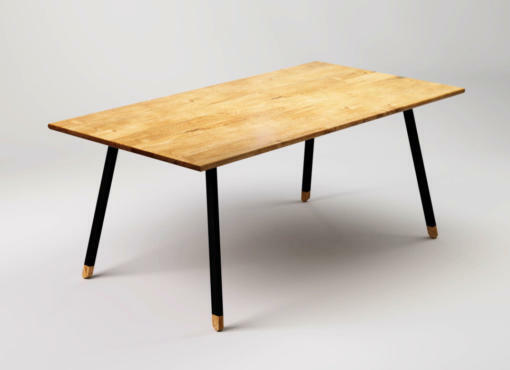 FINT table is made of solid oak and steel with great love by our skilled craftsmen. Timeless with contemporary Scandinavian style. 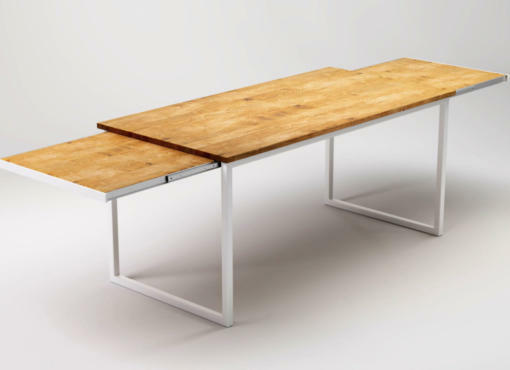 That’s the reason why FINT is different then the most common modern dining tables. Fine details and great design is what make this piece of dining room furniture extraordinary. 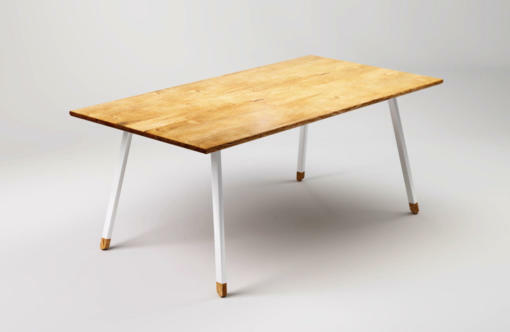 Those wooden feet create the impression that the table is just lightly touching the ground.